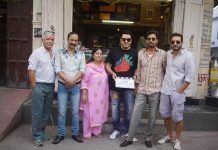 Ayushman Khurana shows of his kiddie side. 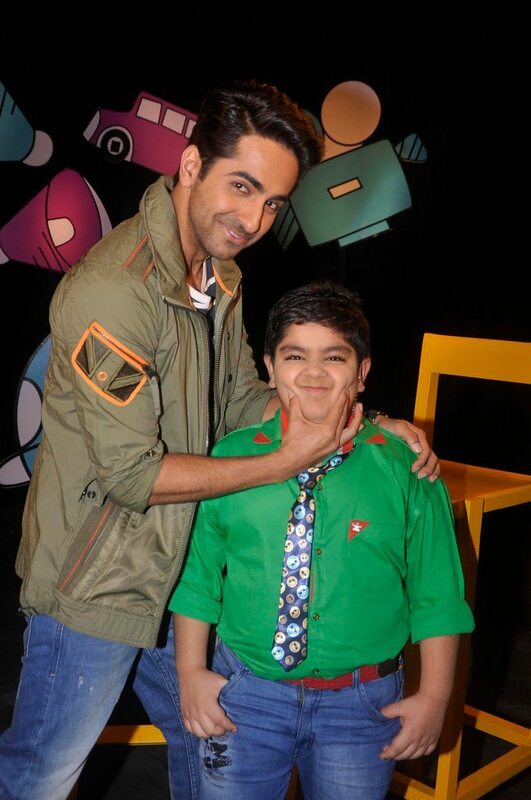 Bollywood actor Ayushman Khurana appeared on the sets of Disney’s popular talk show ‘Captain Tiao’, hosted by child artist Sadhil Kapoor, the show has become a frequent platform for Bollywood celebs. 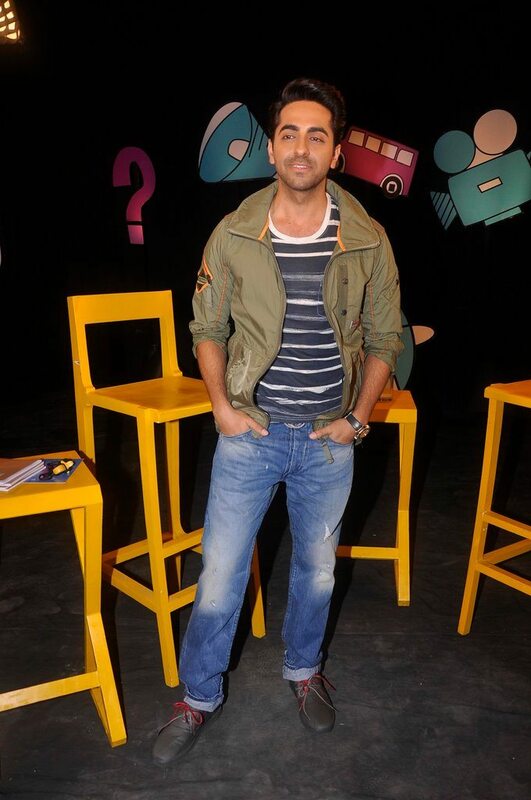 Ayushman looked his casual best in a denims and jacket look. 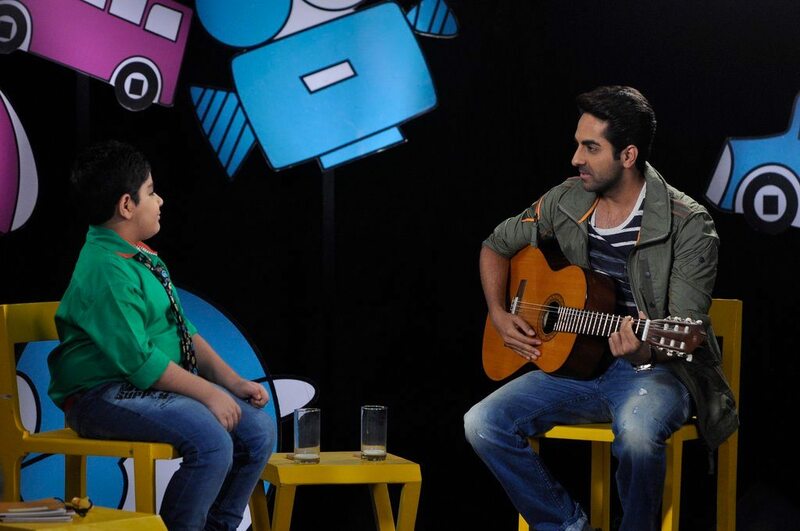 The ‘Vicky Donor’ actor had a great time with the child host and also performed one of his popular songs on the show. 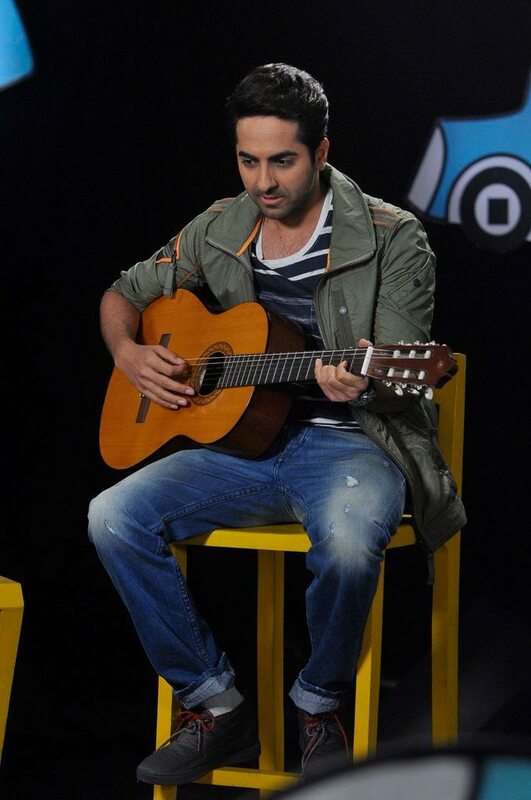 The host who gifted Ayushman a small guitar, is known for cornering celebrities on his show with funny and embarrassing questions. Since it is a children’s based show, not only does Sadhil bring out the spontaneity in stars, but also makes sure that the audiences are enthralled with some of the guest’s childhood experiences.